With so many different colouring techniques and a lot of technical terms being used by stylists, it’s hard to know and understand which is best for you and your hair. Here at Lucia hair and beauty we try to use as little technical talk as possible so you can fully understand what service will give you the most beautiful you. What is the difference between the colouring techniques? 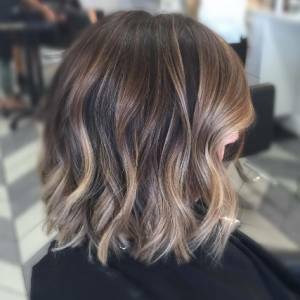 Balayage colouring is a manually applied lightning technique which is laid on the hair shaft, and gives a softer sun kissed highlighted effect. It comes from the French word meaning to sweep or to paint so there is the difference of a free handed look in the hair non-uniform look achieved using a board to paint on. 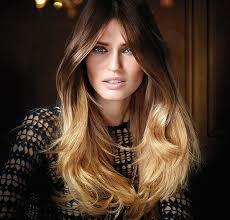 Ombre colouring is a defined colour transition from the root colour to the ends of your hair. 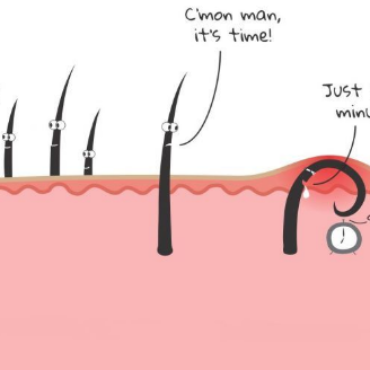 From dark at the roots to light at the ends of your hair, the colour difference may be blended or defined. The Ombre technique is a lot stronger look than the Balayage technique in the way that the colours are more blocked rather than the highlighted look this gives a defined difference from the roots of your hair to the ends of your hair. A perfect way to hide that grown out highlighted look. The smudging technique has been designed to help blend out the harsh line you can get when your highlights start to grow out. A darker colour is applied to your root area and blended down through the previously lightened parts of your hair leaving you with a fresh look and no harsh line. So much has changed over the last 25 years I have been attending courses run by L’Oréal professional on colouring, this is to update my knowledge on colour theory and to help clients achieve the latest looks. I am really enjoying this and feeling very inspired. We hope this has helped you to understand the difference between the colour techniques available, if you have any enquires you can book in for a free colour consultation, where we will be happy to help you decide which technique and colours are best suited for you and your hair, we will also carry out any skin and hair tests. 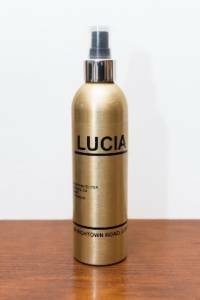 Lucia Hair and Beauty have an amazing own-branded home care range for your hair, including our bestselling product The One and Only Spray. This is a wonder product which heat protects, detangles, shines, strengthens and conditions your hair all in one product. No more need to have several different products in your bathroom, like most women do. Many of our clients already use this wonder product and have experienced the benefits. I don’t know about you, but I often find that conditioners can feel heavy in my hair and leave it feeling greasy, this is why I use The One and Only Spray every time I wash my hair, not only does my hair feel in great condition but The One and Only Spray is light so I don’t feel like it is weighing my hair down. I would recommend this product to anyone who feels that conditioners are too heavy for their hair. Coming soon to Lucia Hair and Beauty – a new in salon service Olaplex. Olaplex helps to protect the inner structure of your hair while colouring, by fixing broken bonds caused during a colouring process. This leaves your hair feeling stronger and in great condition. And only adds 10 minutes on to your usual colour appointment time. We will keep you up-to-date to the launch date of this fantastic new service, and we are confident that you will all enjoy the benefits that Olaplex will have on your hair.